Things were not good for British films in the 1920s and 30s. Things seldom have very been good for British films, but in the 1920s in particular the situation was more than particularly desperate. 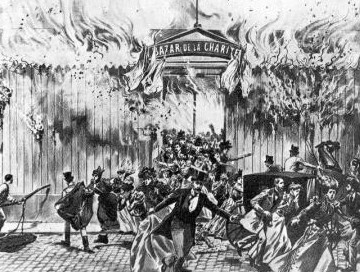 There was too little production finance, too few stars, too few filmmakers of ability, too little appeal for audiences in thrall to Hollywood. Critics were utterly dismissive of the qualities of British film production, damning British producers and British creative talent for – well, a lack of creative talent. … the numerous Secrets of Nature films … have always been admirable in conception and execution. They are, in fact, the sheet-anchor of the British Film Industry. … these outstanding films played a versatile role, as works of art and scientific record to their makers, entertainment to the cinemas, and teaching to the educational film enthusiasts. They ticked every box. They did what many thought films were there to do – to illuminate the world. 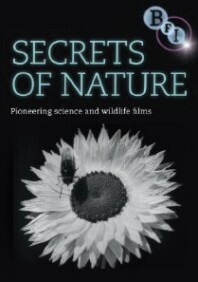 Now the world can be illuminated a little further, because the BFI has shown considerable boldness by putting together a DVD of Secrets of Nature. It is itself an intelligent, inventive and beautiful production, and truly dedicated to science. It contains nineteen films dating 1922-1933, artfully arranged into four sections: The Techniques, The Birds, The Insects and The Plants. 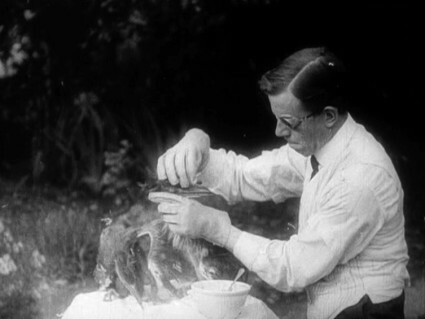 An extra film from the Charles Urban Movie Chats series shows filmmaker Percy Smith nursing a pair of herons. The hansomely illustrated thirty-six page booklet has essays by Dr Tim Boon (author of Films of Fact and the driving force behind this DVD), Tim Dee, Charlotte Sleigh and John Agar, each taking on one of the themes, each praising the films for their acute observations and high image quality. Archivist Jan Faull writes on the care of the films, and there is a set of mini-biographies of the filmmakers (one or two penned by your scribe). 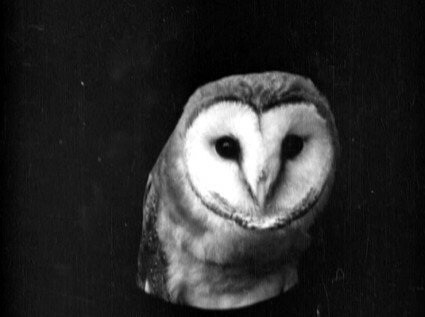 Secrets of Nature was launched in 1922 by H. Bruce Woolfe, a former film distributor who set up British Instructional Films in 1919 with the ambition of creating popular informational films. Woolfe enjoyed great success with dramatised documentaries of the First World War, such as Zeebrugge and Mons, but his greatest achievement remains Secrets of Nature. He gathered together a remarkable array of naturalist-filmmakers, encouraging the development of a form of popular scientific filmmaking which had been pioneered by F. Martin Duncan and Percy Smith working for Charles Urban before the First World War. F. Percy Smith (1880-1945) was one of the greatest filmmakers of the silent film era. Doubt my word? Just take a look at the The Plants of the Pantry (1927). 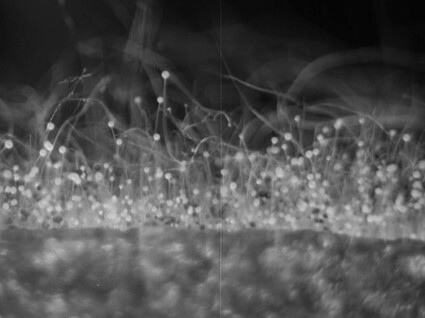 This extraordinary work of art and science, beautifully entwined, shows how mould grows on household food such as cheese. Combining stop motion photography with micro-cinematography and even animation sequences, Smith illustrates the mysteries of the unseen, portraying the reality while unveiling the abstract unreality. His work is as close to that of avant garde animators of the period – Walter Ruttman, Oskar Fischinger, Viktor Eggling or Fernand Leger – as it is to the plain exposition of science lecture. One is continually left open-mouthed in amazement at the quality of his images, which challenge our understanding of nature and reality. It is usual to point to the French filmmaker Jean Painlevé as someone who combined surrealism with science, but Smith was there first and was probably the superior filmmaker. He simply saw more than most. Percy Smith is the leading filmmaker on the Secrets of Nature set, but he was only one of a team. Others represented on the DVD set (some of whom were BIF employees, others freelancers) are ornithologist and pioneer of natural history cinematography Oliver Pike; Natural History Museum curator W.P. Pycraft; ornithologist Edgar Chance (“a scientist in search of evidence” as Rachael Low writes); bird photographer Walter Higham; naturalist Charles Head, a specialist in recording the everyday life of the countryside; and chemist-turned-documentary filmmaker H.M. Lomas, the only one of the Secrets of Nature team who was not a naturalist first, filmmaker second. Leading this team from 1929 was Mary Field, a former school teacher who joined British Instructional Films in 1926 as its education manager and rapidly became skilled in all aspects of film production, becoming editor of the Secrets of Nature series in 1929. She went on to enjoy a notable career promoting the educational value of film with the Rank Organisation (where she established the Children’s Film Foundation) and UNESCO. She wrote the book Secrets of Nature (1934) and co-wrote Cine-biology (1941), with Percy Smith and J.V. Durden. Field was in charge when the series acquired sound, and it is the sound examples from the series which have perhaps caused Secrets of Nature to be looked down upon by later generations. The plummy-voiced commentaries can now sound comically quaint, paronising even, and it does require a degree of sympthatetic understanding of past manners to appreciate films whose photographic and observational qualities remained as high as ever. There is also a degree of anthropomorphism which even at the time caused commentators to complain, but which is really no worse than the typical wildlife documentary of today, where no lion or meerkat can be allowed to pass without our narrator giving them a name and a human outlook on the world. Interestingly, the silent films on the DVD are presented in silence – no music accompaniment is included. Whether this is through economy or a wish to distinguish the earlier films from the later titles with soundtracks is not explained. The result draws one all the more to look in wonder at the exquisitely composed images, the product of keen observation, much patience, and an understanding of the power of the image to reveal scientific truth. The techniques on display, such as underwater photography, microcinematography (literally filming through a microscope), high-speed cinematography and stop-motion may be familiar to us now (or at least the results are), but here they were being shown to audiences who had never experienced such marvels, and one can only wonder at the astonishment that many must have felt at seeing the life that teemed on a piece of mouldy cheese or in a wine glass into which a wisp of hay has been placed, turning it into a mini-aquarium of micro-organisms (The World in a Wine-glass, 1931). These were films that not only informed but encouraged the cinema audience to think and to look at their world anew. Secrets of Nature is an important part of British film history, but one that one hardly expected ever to see on DVD. All praise then to the BFI for its commitment to an inclusive film history, to encouraging us to think about that film history, and to see more. (No one should miss the high quality images on the DVD, but if you are keen to sample some examples of Secrets of Nature beforehand, there are numerous examples in low resolution on the British Pathe website – though all from the sound series, please note). Apologies for the interrupted earlier publication of this post – I hit the ‘publish’ button by mistake before I’d finished writing it. I bow to you for praising this wonderful DVD. I had heard of these films and have waited 40 years to see them; they surpass my expectations. I had a go at a customer review on amazon.co.uk, but yours is more eloquent. I hope this DVD finds a market. I really hope it finds a market, and thank you for pushing it in Amazon and Nitrateville. It is going to be a tough sell and I’m really impressed that the BFI took this on and put such effort into its presentation. They are films that more than live up to their original reputation. I’m still puzzled why the silents are shown silent without explanation, but that minor quibble aside its a model DVD release (a candidate for archive DVD release of the year when the Bologna awards come around, I’d say).